While vacation is a time for relaxation, it is still important to stay in the loop. You may need to stay updated on that new work project, check in with the babysitter, or simply finalize your travel plans. Unfortunately, travel can make communicating difficult, especially if you don’t have access to the Internet. This is where Travel WiFi, a pocket-sized modem, can help. It allows you to surf the web on up to 10 WiFi-enabled devices, so you can connect your smartphone, tablet or laptop without having to worry about finding an unreliable public hotspot. Connection is both unlimited and fast with a 4G browsing speed, so you can connect whenever you want without getting charged enormous data roaming fees. While data roaming can cost an arm and a leg, a connection with Travel WiFi only costs between 6€ and 15€ a day, priced at 8€ a day for a week-long vacation and 6€ a day for a month. To ensure that the device is returned in good condition, Travel WiFi does require a 150€ deposit. However, it isn’t charged to your account unless you don’t return the device. You’re probably thinking, “The price is good, but I don’t know anything about technology. Will I even be able to use this?” The answer is yes. 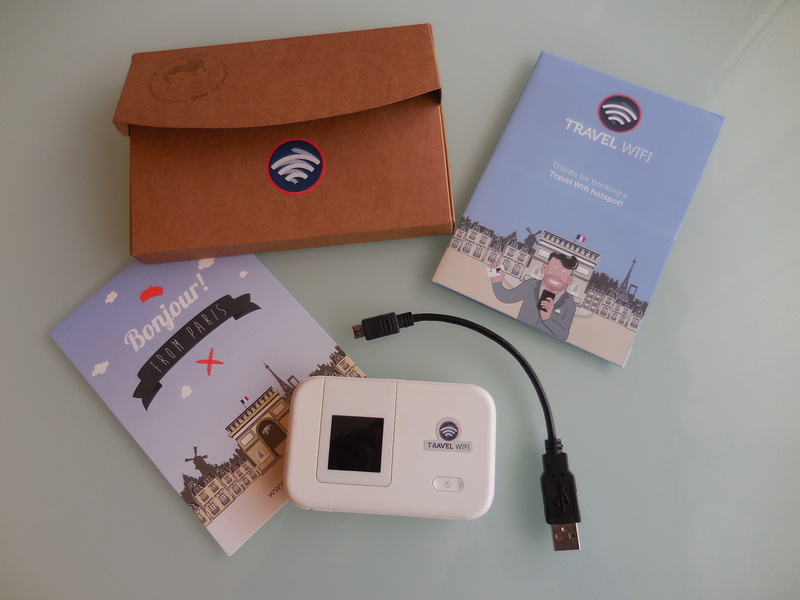 Travel WiFi arrives at your door ready to use. You simply press the power button and are ready to connect your device. A small instruction booklet with plenty of pictures shows you step-by-step show to connect and gives you a list of French phrases you should know when connecting. When you’re done, you place the device in the prepaid envelope and drop it in the mailbox. It’s as simple as that! 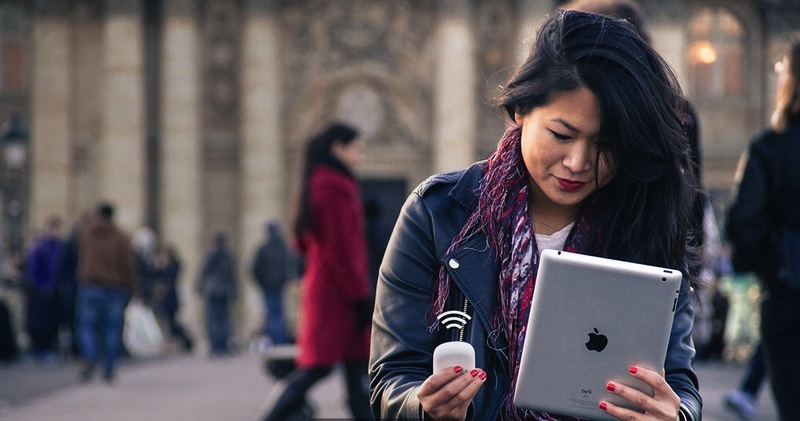 If you’re looking for a cheap, easy WiFi connection during your French vacation, Travel WiFi is definitely the way to go. No need to worry about ridiculous fees or spotty connections. The product comes ready to use with no hidden costs and unlimited data, allowing you to relax and enjoy your stress-free vacation. Please note: There is a deposit of 150€ that is only charged if you do not return the device.